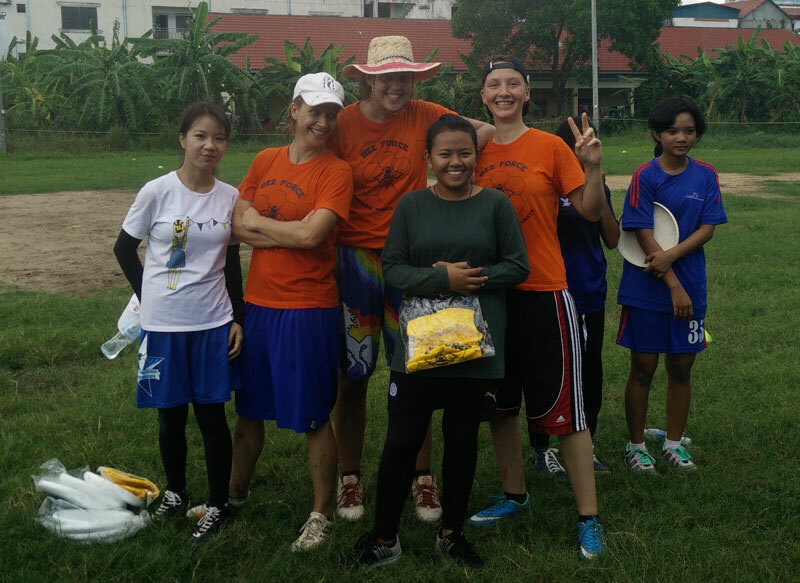 After that women’s clinic, two of our elder players, Romina de Jong and Sreyda Chan, formed Bee Force, Cambodia’s first women’s ultimate club. They have trained around twice-a-week since the clinic and have improved immensely. 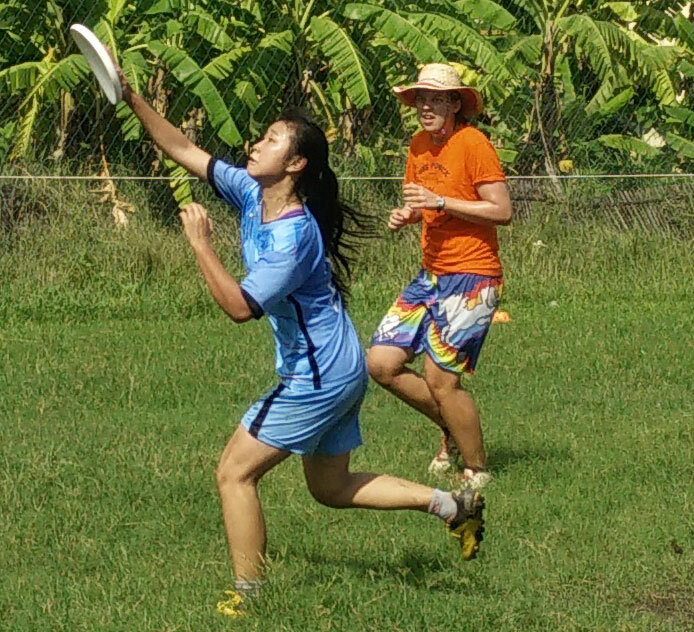 Having added on Coach Alli Bukys of Washington University Ultimate fame, the women have been poised for great things. One of which we experienced last weekend. Sunday, November 20, marked the 10th Bee Force training. With this milestone, the coaches wanted to show how far women’s ultimate in the Kingdom has come. They decided to hold a women’s “hat” tournament (a tournament where athletes sign up as individuals and are divided up into teams of comparable playing levels). 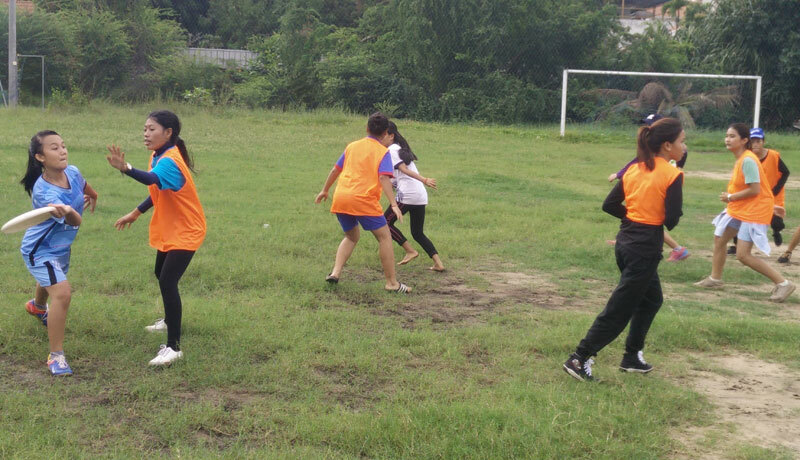 This tournament, like most everything Bee Force accomplishes, was the first women’s tournament in Cambodia and one of first in mainland Southeast Asia. The 34 players were divided into four teams. These players, many of whom had only been playing ultimate for a couple months, were tasked with being able to showcase their skills in a competitive environment and to play on teams with players they perhaps had never met before the day of the tournament. They accomplished these things very impressively. The games were close and the competitiveness level was high. The women had their game faces on. 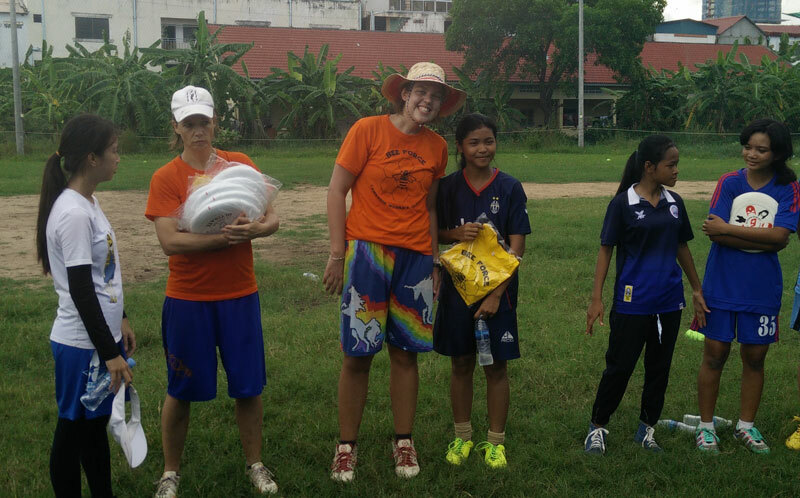 In the end the combination of Malika (Liger Learning Center) hucking to Sophi (Empowering Youth in Cambodia), was just too much to defend, and the Grasshoppers took down the first Phnom Penh Women’s Hat championship. Latin (Rodwell Institute) took home Most Valuable Player honors while Sreypich (Liger) received the prestigious Spirit Award, given a player who had shown leadership, positivity, and sportsmanship throughout the tournament. 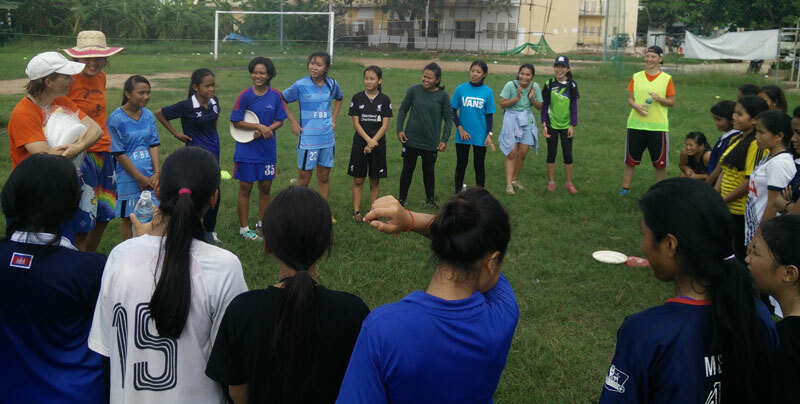 We are excited for women’s ultimate to grow in Cambodia and the world and to play a part in helping more events like this happen in the future. Congratulations to all the players and organizers! The Spirit Award Winner! Sreypich! 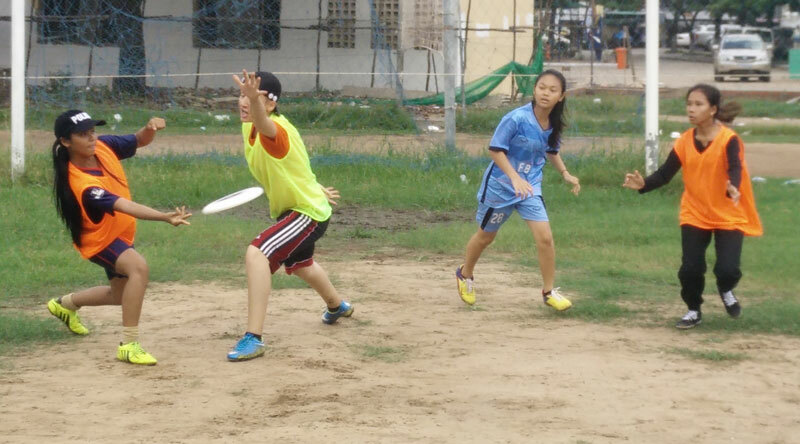 If you are interested in helping grow ultimate in Cambodia, here’s your chance!